The player's default color is green, but you can customize it to any color that you'd like. You can change the color on a case-by-case basis, but if you plan to use the same color each time, we recommend entering the color into the plugin's default settings. 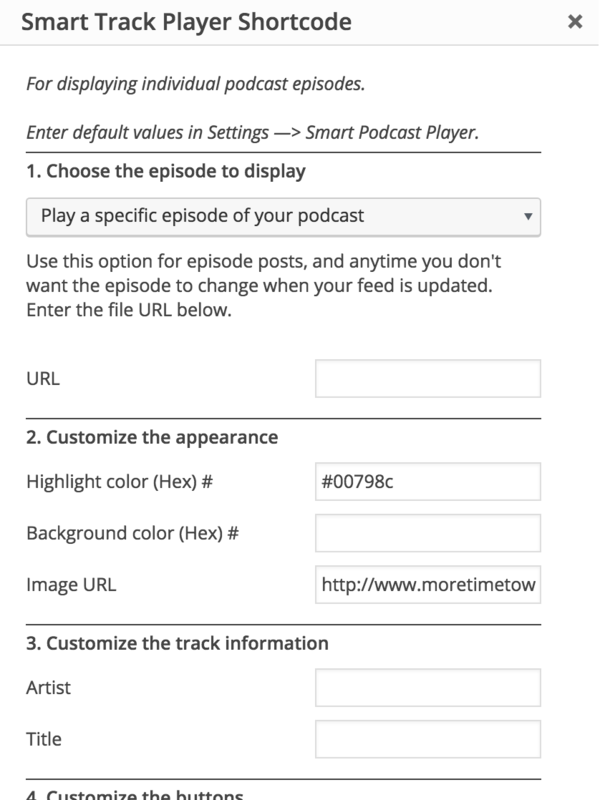 You can specify separate player and link colors in the Player Design Settings area of the Smart Podcast Player's Default Settings. Watch the excerpt from the full tutorial on Player Default Settings below. Click on your desired color in the color picker, or enter the hex value. Both the Smart Podcast Player and the Smart Track player shortcode builders allow you to specify a six letter/number hex color. 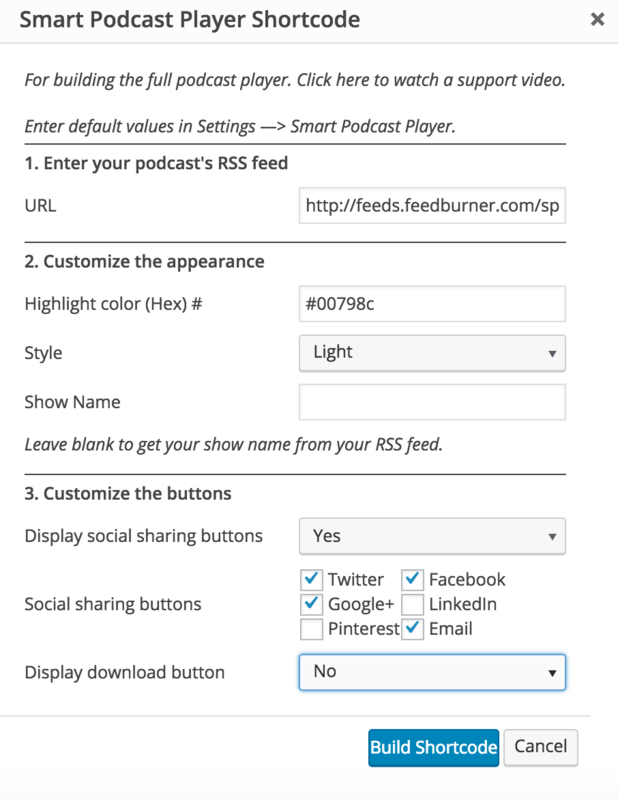 For the full tutorial on using the full podcast player's shortcode builder, go to this post. For the full tutorial on using the individual track player, go to this post. 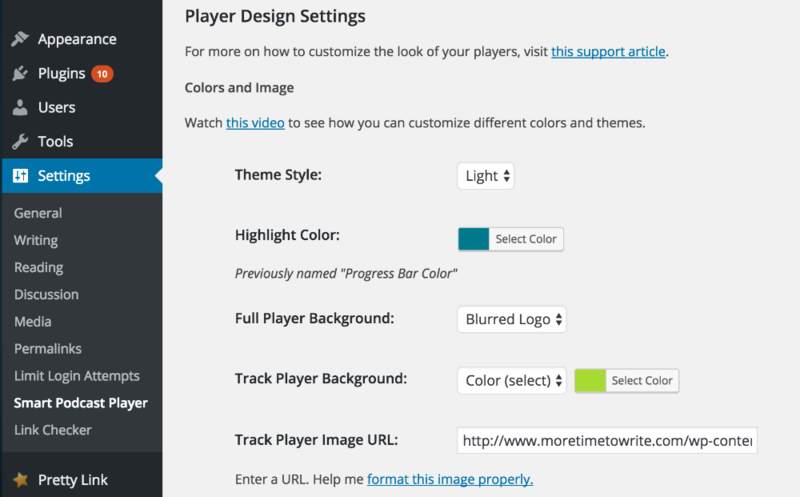 Set the color in the Player color (Hex) # (Color (Hex) # in the STP shortcode builder) box. The color="hex value" will change the color of the completed portion of the progress bar, the play button, and the "now playing" icon in the playlist.